The Club is delighted to announce the Publication of "Michael's Life of Rhyme". 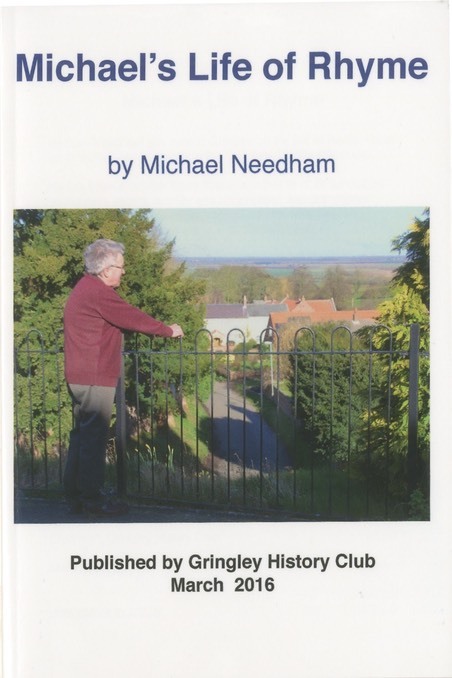 This is a collection of entertaining verses by local resident, Michael Needham, accompnaied by some sketches, photographs and historical notes. Price is £5 (£4 to Club Members) and the book is now in production and will be available shortly. Order from any Club Committee member or Michael himself. Club Chairman, Alan Hickman, who edited the book said: "This is a really entertaining and delightful set of 50 poems, which I was keen to publish as a collection as soon as the opportunity presented itself. Michael has a wry and observational style which I am sure people will really enjoy. I urge you to give it a go."